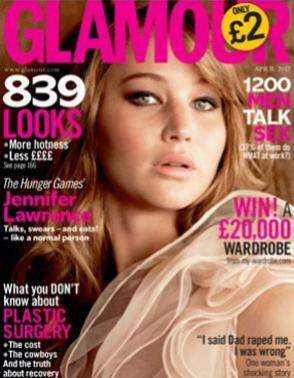 Jennifer by Celebrity News and Gossip, Celebrity Fashion Guide, Celebrity Beauty tips, Celebrity Hairstyles 2013, Celebrity Style 2013 and more! Happy 43rd Birthday, Jennifer Aniston! Last year, on her 42nd birthday, celebrity gossip tabloids were saying that Jennifer Aniston was lonely and going through inner turmoil on a daily basis. With a serious boyfriend in Justin Theroux, a career that’s taken some fun new turns, and a face and body that seem to look better with age (we didn’t know that was possible, but Aniston’s defying the odds), she’s on top of the world. We’re sure the Brad Pitt rumors (reconciliation/love child/whatever) will surface again soon. That’s just how the tabloids roll … every month of every year. But today, on her 43rd birthday, there’s little doubt that in the real world, Jen has reached a much better place, both personally and professionally. The Oscar winner reveals she isn’t alone in her quest to fight the battle of the bulge. Hear how her loved ones literally lost a ton of weight. According to a new poll from that magazine, Jennifer Aniston is the Hottest Woman of All-Time. A questionable choice? Maybe? But have you seen the following photo?1? Rounding out the poll’s top five: Raquel Welch, Marilyn Monroe, Britney Spears and Madonna. Angelina Jolie came in at number-10.